Lithuania is considering supplying the country's Armed Forces with missile artillery systems, a weapon the army still does not have. In the search for possible suppliers of the Multiple Launch Rocket System s (MARS/MLRS), Lithuania is currently holding initial consultations with the governments of Germany, Norway and the United States, the Defence Ministry said. The ministry noted that conversations are also in progress with private manufacturers. "In spring of 2016, Lithuania opened initial consultations on acquisition of surplus equipment with the governments of Germany, Norway and the United States, a meeting was also held with representatives of US company Lockheed Martin during the international fair Eurosatary," the ministry said in a comment to BNS on Tuesday. It emphasized that specific talks or decisions had not yet been made. The m ultiple launch rocket system project is planned for 2020-2025. The systems would be supplied to one battery of the Lithuanian Armed Forces. As Lithuania has not yet formed the capacity for the systems, the number of the systems to be bought has not yet been decided. In an effort to step up its fire support capacities, Lithuania bought 16 self-propelled howitzers PzH2000 from Germany in 2015. 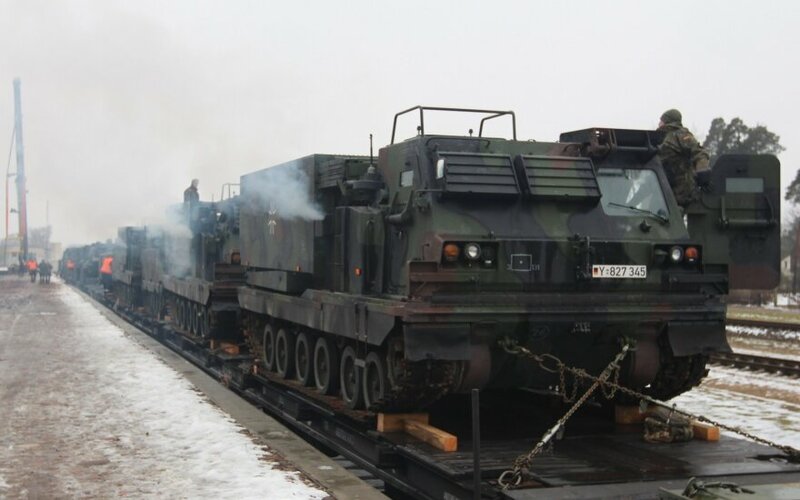 Lithuania has been buying more weaponry and is increasing its defense budget in response to Russia's actions in Ukraine and the Baltic Sea region.